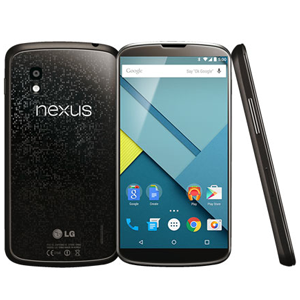 The LG-built Google Nexus 4 is powered by a 1.5 GHz quad-core Qualcomm Snapdragon S4 Pro processor, featuring four Krait cores and the class-leading Adreno 320 GPU. In addition to the fast processor, the Nexus 4 also packs 2 GB of RAM and either 8 or 16 GB of internal storage. The device also features a 4.7″ 720p display, delivering 320 ppi. Most importantly, the Nexus 4 is one of the two lead devices for Android 4.2, the revamped version of Jelly Bean.